MINNEAPOLIS (May 11, 2017) – As part of the agency’s ongoing commitment to making a positive impact in the community, The Lacek Group (TLG), a Minneapolis-based customer-engagement agency, has selected Minnesota-based, national nonprofit AdoptAClassroom.org as its community partner for 2017–2018. AdoptAClassroom.org provides funding for K–12 teachers across the U.S. so they can purchase the classroom supplies and materials they need to help their students learn and succeed. According to AdoptAClassroom.org, on average, teachers spend $600 of their own money every year on supplies for their classroom, with nearly 20% of teachers spending more than $1,000 annually. 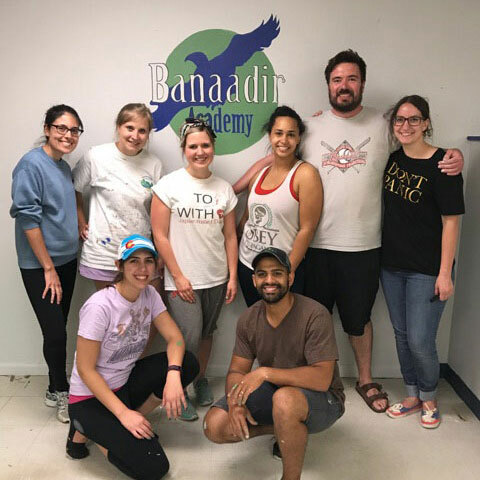 During the first year of the new partnership, TLG will collaborate with AdoptAClassroom.org to support Banaadir Academy in Minneapolis, a free K–8 Minnesota Transitions Charter School. Located in North Minneapolis, the school is focused on serving more than 300 children from the Minneapolis Somali community, many of whom are recent immigrants. In honor of National Teacher Appreciation Week (May 8–12), TLG will host a recognition luncheon for Banaadir teachers and staff on Thursday, May 11. The luncheon is the first of a series of initiatives planned and led by agency employees to help raise much-needed funds to support Banaadir teachers’ educational efforts. For the past two decades, TLG has selected an organization every two years to be a community-engagement partner and recipient of financial contributions. During that two year period, TLG employees organize fundraising events and activities, as well as create fundraising opportunities at existing annual agency events, that benefit the community partner. Since its start in 1993, TLG and its employees have donated up to $15,000 annually to support several organizations, including Habitat for Humanity; Big Brothers Big Sisters of the Greater Twin Cities; the Ronald McDonald House Charities, Upper Midwest; Second Harvest Heartland; Sharing & Caring Hands; Feeding America; Faith’s Lodge; the American Cancer Society; and, most recently, Special Olympics Minnesota. TLG is a customer-engagement agency that develops marketing solutions at the intersection of brands, data insights and creativity. TLG designs and optimizes highly successful customer-relationship management initiatives, loyalty programs and customer communications across all media for some of the world’s most respected brands. The agency’s clients include Marriott International, Carnival Cruise Lines, U.S. Bank, Enterprise Holdings (National Car Rental, Alamo Rent a Car, Enterprise Rent-A-Car), Ford Motor Company, and DuPont Pioneer and DuPont Crop Protection. TLG is a specialty agency of Ogilvy & Mather. Learn more about TLG at www.lacek.com. AdoptAClassroom.org empowers teachers by providing the classroom supplies and materials needed to help their students learn and succeed. As an award-winning 501(c)(3), AdoptAClassroom.org makes it easy for individual donors and corporate sponsors to donate funds to K–12 classrooms in public, private and charter schools throughout the U.S. On average, teachers spend $600 of their own money each year to equip their classrooms — 20% of teachers spend more than $1,000 annually. Since 1998, AdoptAClassroom.org has raised more than $30 million and benefited more than 4.25 million students. AdoptAClassroom.org holds a 4-star rating from Charity Navigator. For more information, or to adopt a classroom, please visit www.AdoptAClassroom.org.